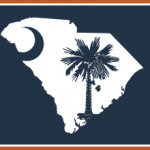 The South Carolina Lean Alliance would like to invite you to an upcoming Lunch and Learn Membership Event in Quinby! This is a great opportunity to learn what the SCLA is about while also getting an overview of a Lean topic. This month’s topic is Kata. Truly continuous improvement requires habitual and consistent practice using scientific problem-solving techniques. Kata provides an effective structure to accomplish this. Learn how to teach your associates to think scientifically. Cost: FREE, Registration is required to attend. Lunch is included. Class size is limited to 25 people.